An Air Force general who told hundreds of airmen not to talk to members of Congress about the controversial A-10 attack aircraft or they would face treason has been removed from his position. Air Force Maj. Gen. James Post III, a two-star vice commander at Air Combat Command (ACC), had been under investigation since he made the comments at a conference in Nevada this January. A report was compiled by ACC Commander Gen. Hawk Carlisle, who, after dismissing Post from his position within the command, issued him a letter of reprimand. “General Post understands the impact of his actions and has expressed his sincere regret to me, a regret he extends to all Airmen," said Carlisle. The A-10, also known as the Thunderbolt II, has been the subject of great debate within the Air Force and Congress in recent years. The discussion has primarily been about whether the plane should be scrapped or retained in the defense budget. It was designed in the middle of the Cold War to destroy Soviet tanks and can fly low and slowly over targets, offering far more accurate and close-range fire power than faster, more modern jets. Because of its accuracy, the A-10 is less likely to be involved in friendly fire or hit civilians. The main contention, according to the Air Force, is that the incoming F-35 stealth fighter will be able to fulfill the A-10's close air support role for soldiers fighting on the ground. Plus, the Air Force, which is subject to forced sequestration in the defense budget beginning 2016, says scrapping the aircraft would save that branch of the military about $4 billion over five years and would free up important aircraft maintainers who would be transferred to the F-35 project, which is due to see service starting in 2021. But the aircraft has powerful supporters in Congress, including Senate Armed Services Committee Chairman John McCain (R-Ariz.) and Sen. Kelly Ayotte (R-N.H.), who both say that no other aircraft can offer the same support to troops on the ground as the A-10. Incidentally, Ayotte was the first to call for Post's comments to be investigated. After the ACC's ruling, she said she appreciated the "thorough investigation that the Air Force Inspector General conducted." In response to the report, Post said that he regretted the comments. 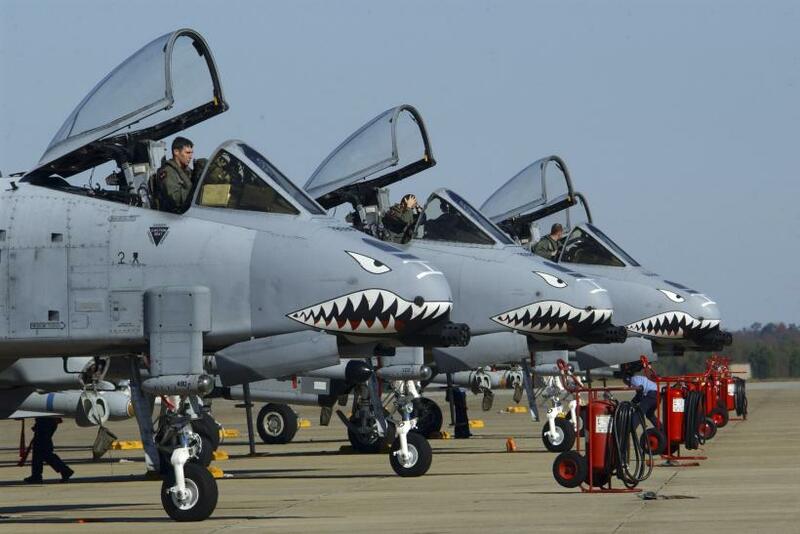 The A-10 has recently been deployed to Iraq and Syria to hit Islamic State group targets and to Eastern Europe for exercises designed to ease fears over Russian hostility in the region.